Most recipes tend to use raw coconut flakes, and raw oats. I find a light toasting of both is worth the slight extra effort. I also like chia seeds here, and tend to use them as my seed of choice, but I first beat them up in a mortar and pestle a bit before adding them to the mix. Also, feel free to swap things up a bit - trade in alternate seeds, use whatever sweetener you prefer, add spices if you like, or an alternative nut butter, or keep things simple, and just go with this version - Enjoy! 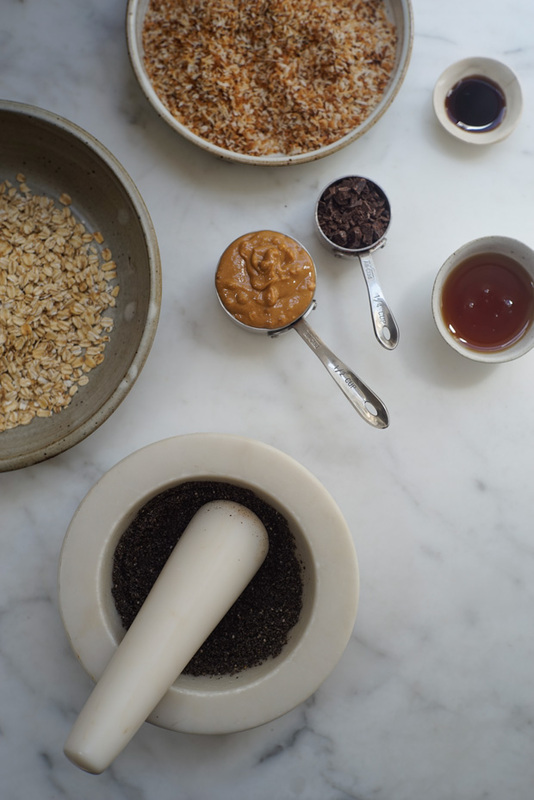 Combine the oats, chia seeds, chocolate, maple syrup, vanilla, and coconut in a medium bowl. Toss until well combined. Add the peanut butter, and use your hands to really work the ingredients together. Adjust a bit if necessary, adding a bit more peanut butter if the mixture won't stay in a ball shape. Alternately, add more oats if the mixture is too sticky. You can shape into balls by hand, but I find it is easier (and less messy) to press the mixture into a rounded tablespoon, then press it out (see photo). Arrange on a parchment lined baking sheet or plate, and refrigerate or freeze. Carry around in a small jar, or any small structured bento or container. These are for anyone weirded out by a lot of the energy bars being sold. Homemade energy bars are the best. Making your own at home is worth it! You want these in your purse, your desk drawer, and your freezer. 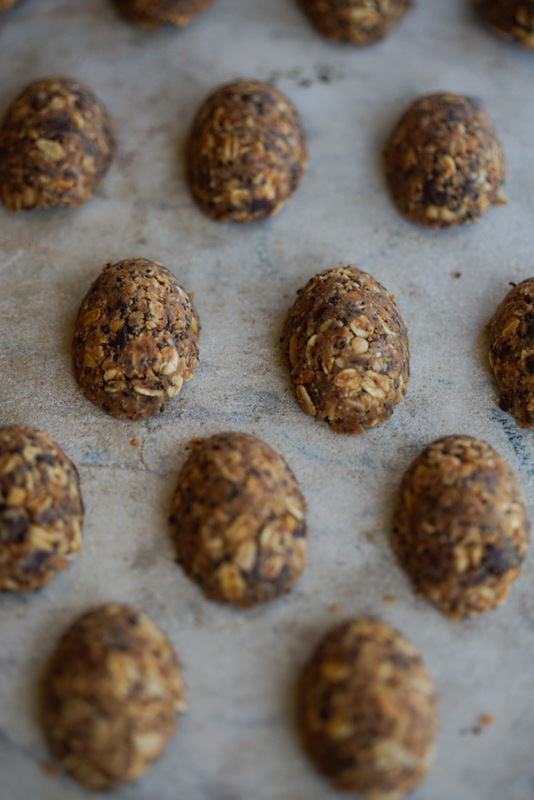 A quick way to get quinoa, hemp seeds, chia, and coconut into one naturally sweetened, no-bake snack. When you make your own chocolate bars, you can pack them with all sorts or nuts, seeds, and spices. Here are some ideas!